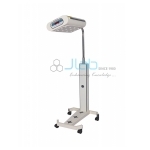 Jainco are counted amongst the leading Manufacturers and suppliers of Neonatal Products that are sourced from leading vendors of the market. Jainco offered range is extremely demanded in varied hospitals due to its sturdy construction, fine end, accurate dimension and corrosive resistance nature. These products are obtainable in several shapes, sizes and designs to cater the various desires of the clients. Furthermore, clients will avail these medical equipment at the most reasonable costs. 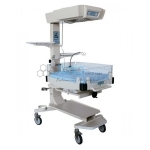 Our products range consists of Infant Radiant Warmers, Baby Incubator, Phototherapy units, Suction units, Baby weighing scale, Resuscitation units. 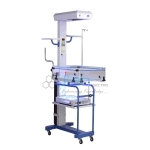 Jainco is renowned Neonatal Products Exporter, Neonatal Products Manufacturer, Neonatal Products, Neonatal Products Suppliers, Neonatal Products in India, Neonatal Equipment Manufacturers in India, Neonatal Hospital Equipments, Neonatal Medical Products.